June and July means that it’s time for festivals in the Cumberland Valley. Come to south central PA for lots of arts festivals, car shows, and even a celebration of the summer solstice. 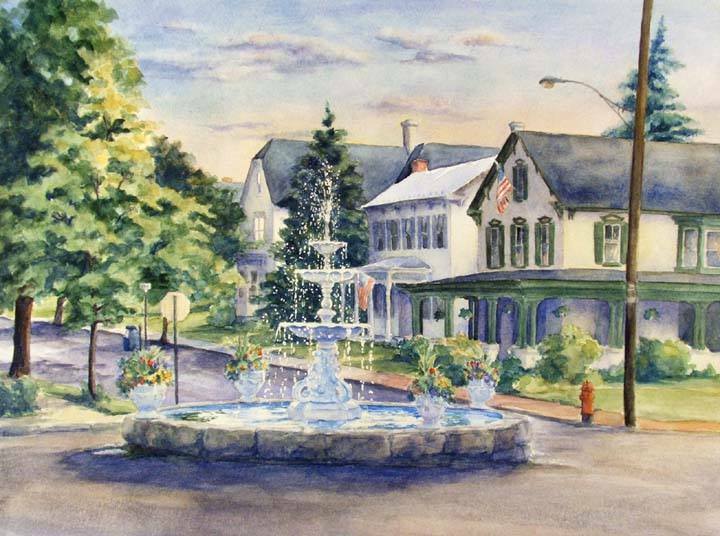 On the first Saturday in June, visit the quaint village of Boiling Springs for Foundry Day – a one day juried art festival. The art show and sale takes place beside the lake in the center of the village and a quilt festival takes place at the same time in the nearby high school. 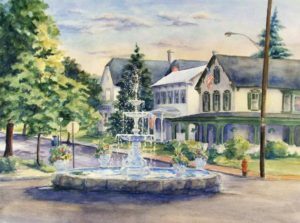 On June 15, 2017, the longest running one-day Street Fair east of the Mississippi happens in Mechanicsburg, PA. On Jubilee Day, Main Street will be filled with arts, craft, educational displays, and food vendors. Musical performances will be featured at two stages starting at 10am with the last performances starting at 6:30. Continue in festival mode on June 16 & 17, 2017 in Newville, PA where the Fountain Festival will feature the theme “Television comes to Newville”. Enter the TV Personality/Character look-alike contest. Stroll the streets to check out how the residents have decorated their porches for the award of the Porch Decorating Contest. Enjoy the Fountain Festival Parade and hang around for the Street Dance on Friday night. Festivities continue on Saturday with Chalk Art contest, Antique and Classic Car show, and a Blueberry Baking Contest. Carlisle’s 12-day-long celebration of Independence Day begins June 23, 2017 and continues through July 4th, . Summerfair has something for everyone and kicks off with a classic rock concert performed by Cheap Sneakers AND a FREE ice cream social on Friday, June 23 at 7:00pm. Enjoy and participate in events such as around-town bike tour, baby races, children’s art activities, a mini-craft show, open pool night, and art exhibits. The Scavenger Hunts are always fun activities as well as the Children’s fishing Derby. The Harrisburg Symphony will perform an outdoor concert on the lawn at Dickinson College so bring your lawn chair and maybe a picnic basket. The big finale of Summerfair will be a huge Fireworks Display. Join us during June or July for these festivals and lots of other activities! This entry was posted in Entertainment, Summer activities by admin. Bookmark the permalink.